"You have the ability to choose which way you want to go. You have to believe great things are going to happen in your life. Do everything you can - prepare, pray and achieve - to make it happen." Who would have thought that a boy with a violent temper who grew up in poverty and constantly had to deal with racism would become a world-knowned neurosurgeon and a role model to everyone. Ben Carson, born on September 18, 1951, grew up in Detroit battling racism, poverty and a violent temper throughout his childhood. His mother, Sonya Carson, motivated him to do better in school when he was struggling and helped him by increasing how much he read and limiting the amount of television he watched. 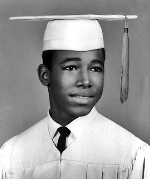 Carson ended up graduating third in his high school class and went to Yale after. Once he graduated from Yale he went to medical school in Michigan where he studied neurosurgery (Gale). 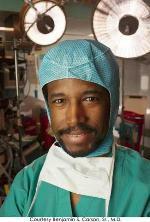 In 1987, Ben Carson achieved a breakthrough in neurosurgery when he separated Siamese twins conjoined at the head. A hero must be someone who doesn't give up on their goals, no matter how much they struggle and someone who is mentally strong always ready for a challenge to come their way. Ben Carson possesses perseverance, a "can-do" attitude and displays hope for everyone, therefore he is definitely a hero. Carson is not only a hero, but a good role model to everyone because he constantly demonstrates perseverance, especially during his operation where he separated Siamese twins. Ben Carson "...avoided becoming just another statistic and is now an acknowledged expert in pediatric neurosurgery at one of the most prestigious medical facilities in the world." (Encyclopedia of World Biology) Carson, clearly, wanted to complete a task knowing he would be remembered for it. If he didn't work hard as hard as he did and gave up on this amazing accomplishment, he wouldn't have been able to perform such an incredible operation and be the hero he is today. This goes to prove that Ben Carson definitely displays perseverance. Ben Carson has also accomplished multiple, difficult challenges that require a surplus in perseverance. "In 1987 Dr. Ben Carson marked a milestone in neurosurgery when he successfully separated a pair of Siamese twins conjoined at the head, an operation that is arguably one of medicine's most significant accomplishments." (Gale) Without all of his determination and hard work, Carson wouldn't have been so successful with this surgery, let alone, even have the opportunity to get to do it. This proves that Ben Carson displays that with efficiency and tenacity, you can achieve goals you would've never imagined. A huge part of what makes Ben Carson the man he is today is all the perseverance he maintained throughout his life. He didn't give up when times got difficult and fought to become the amazing hero he is today. Ben Carson is a beacon of success that gives many kids, especially of a Hispanic or African descent, hope and faith. 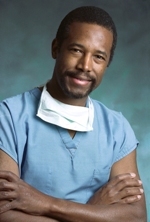 Today, Ben Carson is a world known neurosurgeon and can be looked at as a hero to everyone. He faced many obstacles growing up: "Ben Carson overcame poverty, racism, and a violent temper to become a world-renowned neurosurgeon. "(Contemporary Heroes and Heroines) Carson had a hard time growing up due to poverty, racism and his bad temper. However, he is now a world-known neurosurgeon and an extremely successful man. He is a perfect role model to everyone and inspires kids that are going through what he went through to not give up and believe in themselves. "Ben Carson overcame poverty, racism, and a violent temper to become a world-renowned neurosurgeon." Overcoming obstacles such as racism and poverty is a hard thing to do. However, this shows that even though he had to face racial discrimination and he didn't grow up living the best, wealthiest life, Ben Carson became one of the most successful neurosurgeons and a more importantly, a hero to us all. Carson's accomplishments certainly portray hope and lets everyone know that even if you grow up constantly facing hardships, with a strong mindset, determination and motivation, you can accomplish amazing things. Ben Carson is a very successful man that we can look up to because he contains lots of perseverance, a strong mind set and certainly displays lots of people who grew up tough like he did. Carson never gave up on his goals and always worked excessively hard and went on to an amazing college and medical school. By separating the Siamese twins conjoined at the head, Carson became extremely successful and "marked a milestone in neurosurgery." (Gale) He gives others hope knowing that even if you grow up in a very difficult life, things will get better and you have the ability to accomplish amazing things. What makes someone a hero shouldn't be based on success but on their effort and attitude during the journey they take to get to the top.